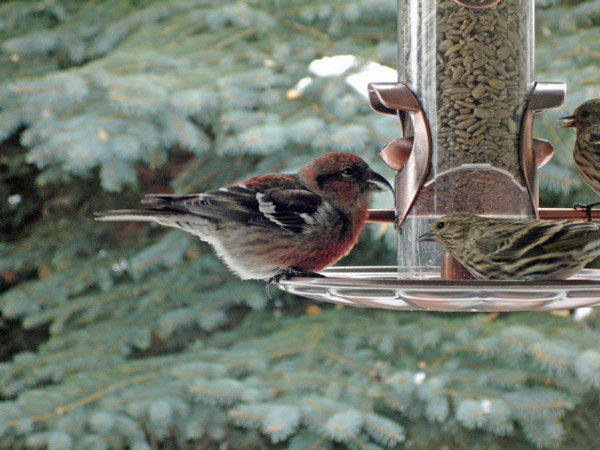 -A white-winged crossbill has been seen coming to feeders at a private residence in the Park City area but the owners do not wish to have any visiting birders. It was first reported around Dec. 11 and was seen (and photographed) again today. It seems to be hanging out with a flock of pine siskins.